and members will be invited on the next issue. Methodicistic through physical motions in the real space. 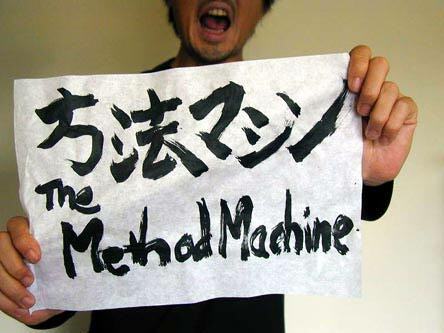 of the process of cultural refinement, "The Method Machine"
the process of cultural refinement. recent years. Whenever I heard of it, I felt unconvinced. realized in the real space by the two players. myself, "Which part do 'sound waves' play in music?" the concert and give the piece a standing ovation! !